Georgia Pine is just the most recent EP from the trailblazing British rock band Broken Witt Rebels. After delivering outstanding performances throughout 2016 ,the energetic, young 4-piece, who hail from Birmingham, are now winning over a new legion of fans with their infectious blend of rebellious rock and soulful blues. Supports on tours with Joanne Shaw Taylor, Whiskey Myers and Kaleo in 2017 have seen the lads play in front of sold out houses from London’s Forum to Dublin’s Olympia Theatre. 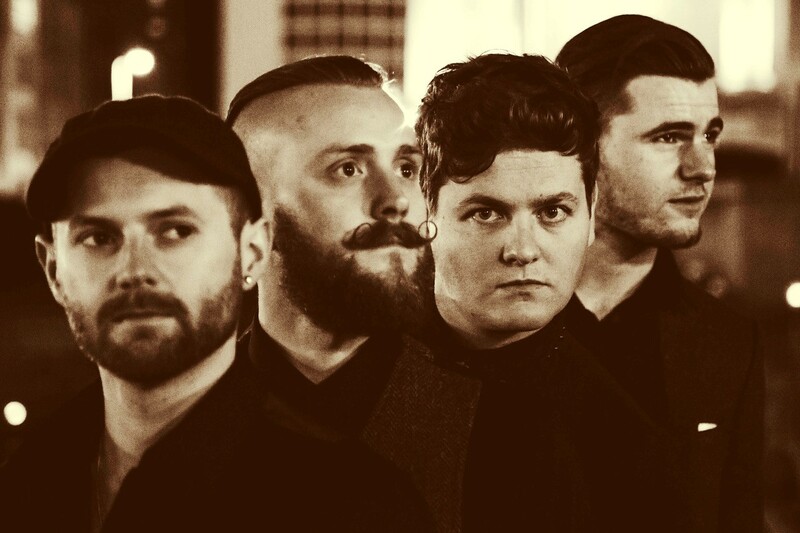 In amongst new generation of contemporary and distinctively soulful rock bands like Alabama Shakes and Black Keys, the four piece band from Birmingham definitely strike a chord. Broken Witt Rebels pay homage to the sounds of blues and Stax guitarists, but it’s their direct approach , their swagger and their brilliantly crafted songs that have helped create a reputation for electrifying live shows that show case all three of the Eps. The Georgia Pine 5-track EP was engineered and produced by Tom Gittins, who has worked on recent recordings by Robert Plant (Led Zeppelin). Gittins cites the Rebels’ lead singer, Danny Core, as “an amazing vocal talent in the tradition of Steve Marriot and Joe Cocker – a distinctive heart-wrenching vocal style that’s steeped deep within the inner core of rock and blues”. With crunching riffs and soulful vocals, the five songs on the EP have an energy and drive that are the warning signs of something mighty, big and beautiful. Broken Witt Rebels have been featured on Richer Sounds Unsigned as Artist of the Week for 2016; as well as The Fred Perry subculture Spotify Playlist as The Ones to Watch for 2016, recommended by promoters This Feeling who tipped Catfish & the Bottle Men 2013, Bohicas 2014, and Blossoms 2015. 2016 also saw the band crowned Unsigned Rock Band of the year at the inaugural Unsigned Music Awards held at Londons historic The Troxy . The lead single from their previous EP “Shake Me Down’ has had over 125,000 streams on Soundcloud. This has earned the band features by numerous blogs and sites, including Fred Perry, Hillydilly and Indie Shuffle. Following its position at the top of the Hype Machine chart it was also featured as Classic Rock Track of the Week. This Summer the band will play a full hand of Festivals in the UK including Ramblin Man, DownLoad, Isle Of Wight and Reading.